If you're looking for an affordable, reliable building service throughout Norfolk and surrounding areas. 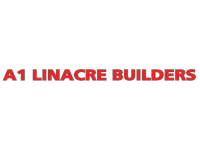 If you're looking for an affordable, reliable building service throughout Norfolk and surrounding areas, look no further than A1 Linacre Builders. All of our builders are members of FMB and the Federation of Master Tradesmen, meaning they are fully trained to carry out all manner of building work, tailor-made to each customer's specific requirements.